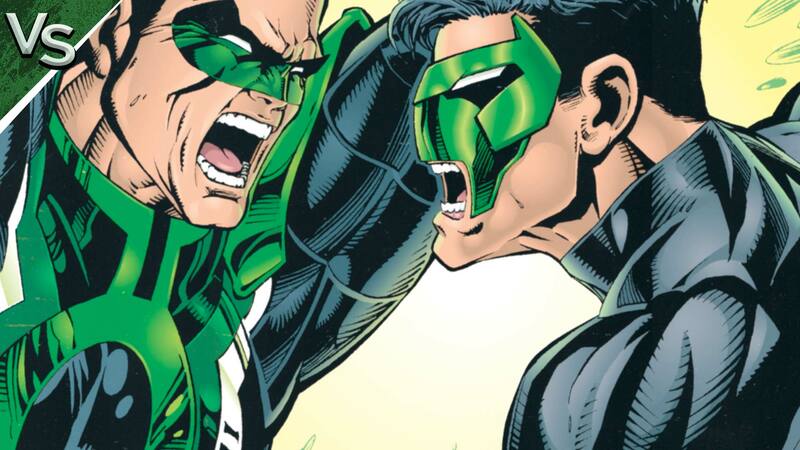 A weapon is only as strong as the one who wields it—a fact we’re putting to the test in this week’s “Versus Live!” Hal Jordan and Kyle Rayner are two of the most beloved and widely respected members of the Green Lantern Corps, but only one can be the best. Is it Hal? Collider Heroes’ Markeia McCarty is here to make the case for the former test pilot. Of course, she’ll have to contend with her Collider colleague Coy Jandreau, who’s all about Kyle. Will Hal’s courage and determination be the deciding factor? Or will it be Kyle’s creativity and out-of-the-box thinking? Don’t let this battle escape your sight! Watch the debate, and then cast your vote for which Lantern you think would win in our poll below. Don’t forget to watch till the end for the results of last week’s battle between Cyborg and Martian Manhunter! Voting results will be tallied at 9:59 a.m. PST on Thursday, June 28th. To make sure they’re counted, get your votes in prior to then! DC All Access: Aquaman vs. Shazam! Care to elaborate? Let us know who you voted for and why in the comments!